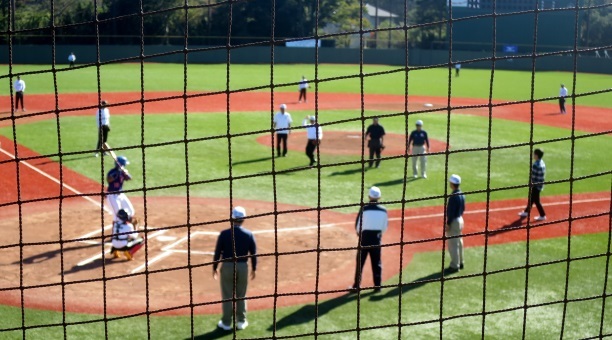 Izu, Japan – The VIII BFA U-15 Baseball Championship opened at the Shida Stadium commanding magnificent view of Mt. Fuji under sprendid autumn weather on Thursday. Six teams from Asia joined the 5 days’ single round robin contest: China, Chinese Taipei, Korea, Pakistan, Thailand and host Japan. One of the features of the U-15 Asian Championships is the use of IBAF approved rubber ball named “Kenko World Ball”, instead of regular hard ball. With the same size and weight as hard ball, its impact is about 1/3 of hard ball making it much safer to play for junior players of development stage, especially during transitional period from playing rubber ball to hard ball. Another advantage includes economy as the rubber ball is more durable and can be used in in wet or rainy conditions. Japan KWB Baseball Federation, a main promoter, hosts National Championships of Juniors and Girls Junior every year participated by about 500 teams from across Japan. At the opening ceremony on the night before, President Tom Peng of Baseball Federation of Asia thanked the hosts, Baseball Federation of Japan, Japan Amateur Baseball Association and Japan KWB Baseball Federation, officials, players and many volunteers for organizing this event being staged immediately after the 2020 Tokyo Olympic Organizers’ decision to propose to add baseball/softball and 4 other events to IOC. President Tsutomu Shida of Japan KWB Baseball Federation commented that this international competition provides opportunity of developing KWB Baseball globally by giving the highest priority to safety for young baseball players. Mayor Yutaka Kikuchi of Izu City echoed the sentiment and hoped that future Olympic baseball players will come out from this event. On the Day 1, Chinese Taipei defeated Pakistan 28-0, Japan overcame Korea 13-0 and China won 9-4 against Thailand.